Today’s Trivia Question: The last time a player outside the Big Four was ranked inside the Top 2 on the ATP rankings was the week of July 18, 2005, at No.2. Who was that player? 1. The third round gets underway today. The bottom half of the men’s draw, including Djokovic and Nadal, and the top half of the women’s draw, which includes Venus, play their third round matches. 2. Djokovic and Nadal continue their semifinal collision course. Djokovic plays Schwartzman (who’s 0-12 against Top 10 players) and Nadal plays Basilashvili (who’s 2-2 against Top 10 players). 3. Nadal’s only adding ranking points from here. 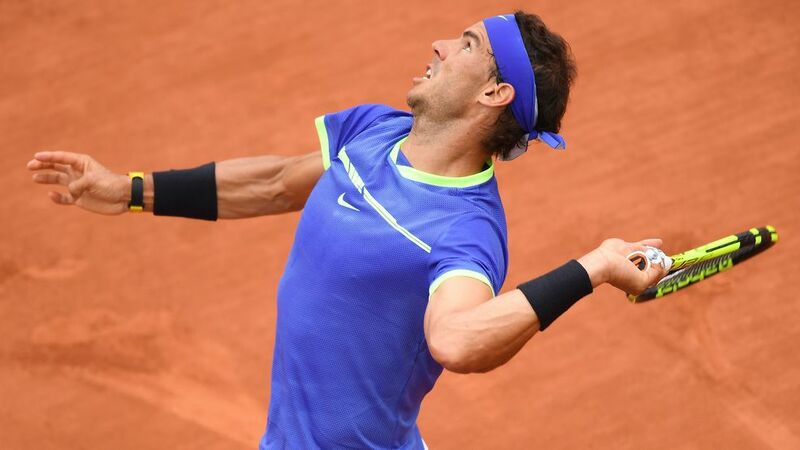 This was the round Nadal withdrew from last year due to a wrist injury, and he didn’t play again until the Olympics - so it’s all gravy for two months now. 4. Venus’ opponent today loves birds, and she’s been soaring up the rankings too. Mertens, who started the year at No.124 and has more than halved that to her current ranking of No.60, absolutely loves birds - she has pheasants, peacocks, chickens and cranes. The Belgian also has four dogs. 5. Venus is in the third round of a major for the 58th time, Mertens for the first time. Venus has a 47-10 record in third round matches at majors - will that experience help her against Mertens today? 6. Johnson is going for the biggest win of his career against Thiem. Johnson’s two biggest wins to date have both come against World No.10s, and both last year - Gasquet at Queen’s Club, Tsonga at Cincinnati. The American has a chance at the biggest win of his career against World No.7 Thiem. 7. Wozniacki’s trying to reach the second week here for just the second time. She reached the quarterfinals in 2010, falling to Schiavone, who went on to win the title - other than that, the Dane has lost in Week 1 in all eight of her other appearances here. She takes on American teenager Bellis today. 8. If Bellis wins, she’ll be the youngest US woman to reach Week 2 here in a lifetime. At 18 years and 64 days, Bellis would be the youngest US woman to reach the second week of the French Open since 1998 - before she was born - when Venus, who was 17, and Serena, who was 16, did it. 9. Rogers has a very good shot against Mladenovic. Even though she’s ranked 35 spots lower in the rankings, No.49 compared to No.14, Rogers reached the quarters here last year, beat Mladenovic in their only career meeting, and has nine career Top 20 wins - seven of which have come on clay. 10. The third round wraps up tomorrow. The top half of the men’s draw and the bottom half of the women’s draw will play their third round matches on Saturday. Who will round out the Week 2 line-up? Yesterday’s Trivia Answer: The only active player other than Venus who was in the 1997 French Open women’s draw is Patty Schnyder.